A significant price jump to compete in the popular Escape From Alcatraz triathlon has sparked outrage from athletes. Organizers of the race, IMG Worldwide, announced the entry fee for next year's triathlon will jump from $450 to $750, a 67 percent increase. "Escape from Alcatraz has experienced tremendous demand in recent years, and with that a growing need to maintain the integrity of competition and safety of all involved in this unique and challenging event," organizers posted on the event Facebook page. The price increase has turned some athletes away who said they will not race or volunteer at the event. "You know what? 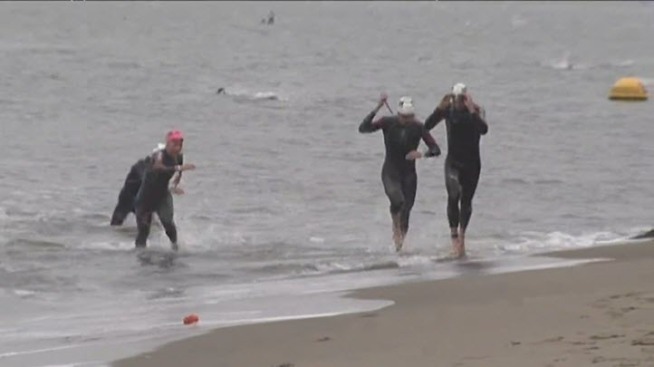 I didn't believe it," Sam Gager, president of the Golden Gate Triathlon Club, said of the fee hike. "Mixed feelings between shock, disbelief and feeling super discouraged." Gager hopes other organizers will step up and plan another similar event. "You look at their response, there's been a real lack of transparency," Gager said of current organizers.